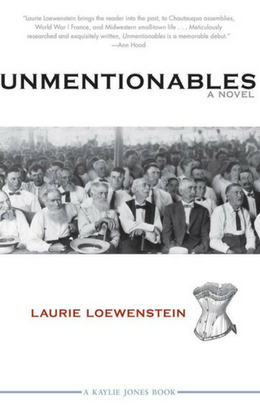 Laurie Loewenstein’s vivid Death of a Rainmaker is at once an engrossing yarn, an elegant inquiry into human desperation, and a portrait of Depression-era America so searingly authentic that the topsoil practically blows off each page. Reading Death of a Rainmaker is like slipping through time right into a 1930’s black-and-white movie. Suddenly you live in Jackson County, Oklahoma during the Dust Bowl, and you know what the cinema, hardware store, and courthouse look like. The townspeople are your family, and you care so deeply about what happens to them that you can’t tear your eyes from the pages of this book.